Hello! I'm the background artist for Cute Demon Crashers! 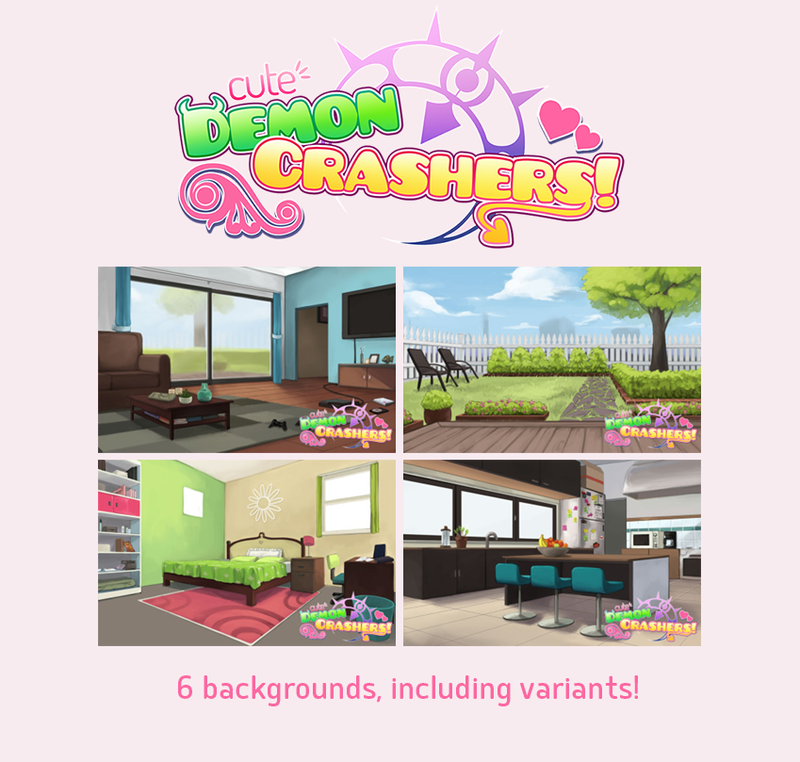 With the team's permission, I'm releasing the backgrounds as CC assets for others to use. - a lovely, soothing garden! - a funky, modern kitchen! - a calming, blue living room! - a natural, generic street! They'll be licensed under Creative Commons, Attribution-NonCommercial. (CC BY-NC 3.0)! Feel free to edit as needed, and use in any non-commercial games. I only request that you credit this under the name of Chocolate Berry.